A fashion post, yes you are in the right place! It's where this blog started and after TCFF I feel like I want to start doing more posts about what I wear. 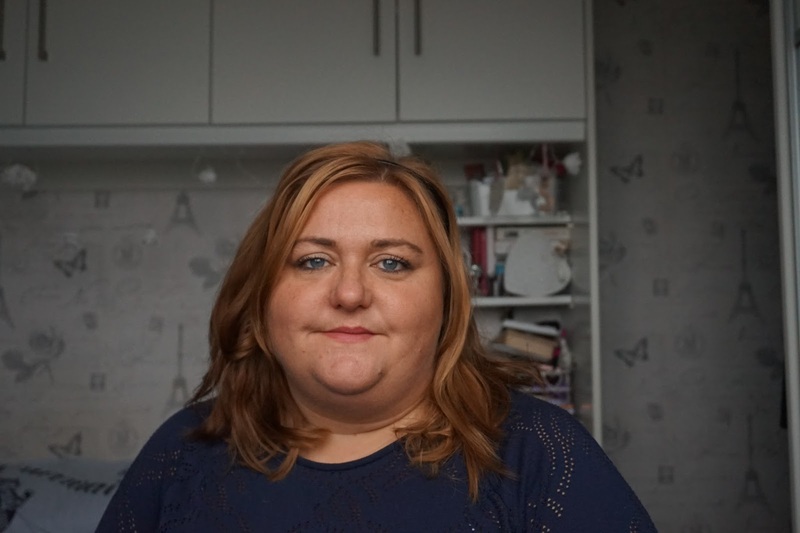 I struggle as I don't have anyone to take my picture or a good place for a tripod or even to balance the camera so you might have to put up with loo selfies for the duration of this challenge. I've done this challenge 2 or three times before and always around this time of year(I think September or November - 30 day month and all that jazz) I missed September and I'm away in November. The aim is to pick out 30 items and wear them over 30 days. It doesn't have to be consecutive days but I try to do that where possible. Where the challenge originated, I can't remember but I know there are a few variations. If you want to be strict you include, shoes, coats, bags and accessories. I normally just do clothing but that can be quite easy. This year, i'm including shoes. I rarely wear accessories unless i'm going out and I only have one night out planned so I didn't want to take up 2 spots on something that will only be worn once. As I type it's 30th September at 9pm and I think I've got my 30 items sorted. I've just taken some very bad photo's and I plan to re-take these tomorrow in better light. This was as a guide so I could fill out my spreadsheet. Yes I love a good spreadsheet. I can't work out what 2 of the items are so I need to double check and I think I have one too many things but by morning I will have a full list. Things not included are coats, scarves, socks, tights (I doubt I'll be wearing them but just as a get out of gaol free card) accessories, gym kit. I'm also reserving the right to do a mid-month swap of up to 3 items. With the caveat being that the items haven't been worn previously as part of the challenge. Any unworn items at the end of the month go straight into the charity bag, anything uncomfortable, worn out or that I just don't like anymore need to be binned or charity bagged. 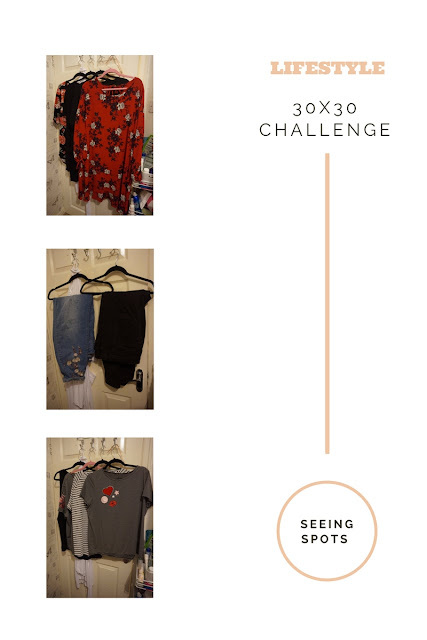 What I would love to do is run this challenge every month, maybe not document it as details as this will be (or plans to be) but it would be an ace way of working through my wardrobe and having 30 items of clothing on the back of my door at all times would make getting dressed easier. I might have to play around with this idea and do something from January. I need to stop thinking out loud and show you my chosen clothes.